Lucia was born and raised in Slovakia, Europe. She graduated with a Physiotherapy bachelor degree from Charles University in Prague, Czech Republic. In her last year of university she worked as a Physiotherapy assistant for a Canadian hockey team that came to Czech Republic for skills camp/tournament. After she has completed her degree she decided to move to Calgary to pursue her career in Private practice focusing on sports injuries. She volunteered for few years as physiotherapist for U of Alberta female hockey team up to the Alberta winter games in 2009/2010. Over the 5 years in private practice she has trained in orthopedic manual therapy and completed additional training levels. 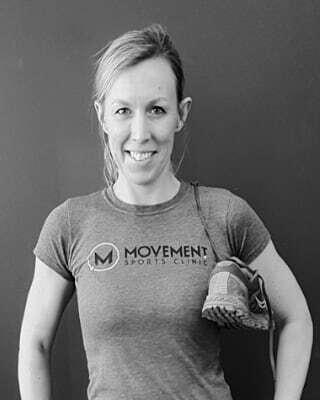 Currently her biggest focus and passion is women’s health Physiotherapy but she still enjoys treating sports injuries. In 2015 She traveled to Washington DC to complete a course in Prenatal and postnatal Pilates training. She is a busy mom of two little kids. As a family they spent as much time as they can in the Rockies hiking, biking and exploring new places.